Politics is, by its nature, ugly and divisive; a constant game of us-versus-them. Given the extremely heated rhetoric of this political season, I thought it would be a good idea to re-post this essay that originally appeared here back in 2009. The older I get the more I realize that the most important thing any of us can do in life is strive to live compassionately, keeping our hearts open, treating others with understanding and, most important, simple human kindness. 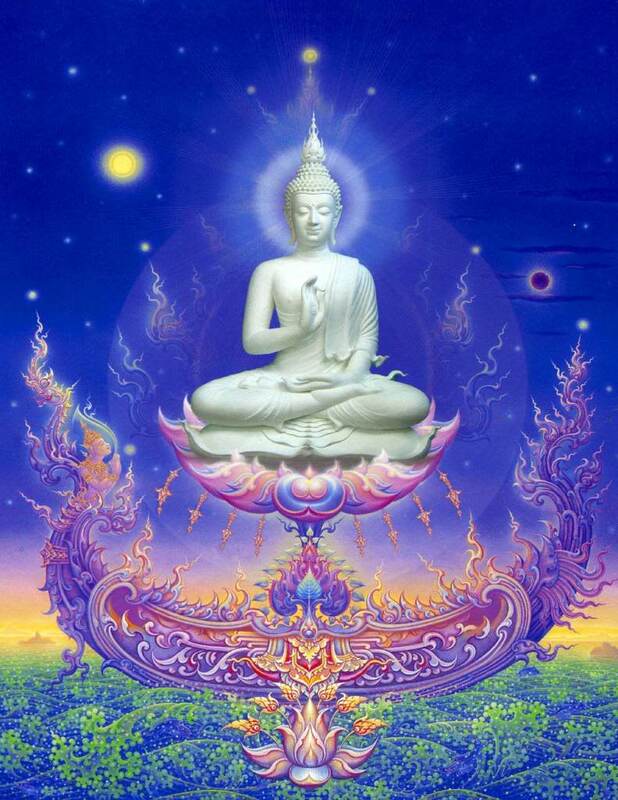 “That which is most needed,” as Buddha said, in words that have echoed through my life for decades, “is a loving heart.” I truly believe that the microcosm is the macrocosm. That our smallest acts of compassion resonate across the planet. That one heart can quite literally change the world. Of course it’s one thing to make compassion an intention in our lives and quite another to live it. Oh, I try, I honestly do, to be as good and decent a person as I can—I’ve been consciously working on myself, on my connection to the Divine, for more than forty years—but the truth is, for all my work, for all my striving, I’m regularly astounded by my ability to say or do spectacularly stupid or hurtful things. I’ve found that ninety-nine percent of the time, when I’ve done something to wound another person, I’ve done it unconsciously: I was so clueless I wasn’t even aware of my idiotic actions. When I discover my transgression, my response is usually the same: guilt, misery, shame, and abject apologies. (The first three, I’ve decided, are fairly useless. The abject apologies are absolutely necessary.) Then—what else can I do?—I get up out of my pool of self-pity and determine to be more conscious of my actions in the future, to open my heart a little wider, to be more aware. That said, I think that no matter how hard we try to live our highest ideals, we are, at some point—and, I suspect, with some regularity—going to screw up: say or do the wrong thing. Make idiotic mistakes. Hurt someone’s feelings. The fact is we’re human—if we were meant to be pure and perfect angels we’d have been born with wings—so all we can do is our best. Sometimes our best is extraordinary, sometimes it’s pathetic; but it’s the effort that counts, I think. Those words, like Buddha’s request for a loving heart, have stayed with me for decades. Neither quote is especially poetic, but both contain enough truth to change the world. A very happy Silence Day to my Meher Baba family around the world. "You have had enough of words, I have had enough of words. It is not through words that I give what I have to give. In the silence of your perfect surrender, my love which is always silent can flow to you—to be yours always to keep and to share with those who seek Me. When the Word of my Love breaks out of its silence and speaks in your hearts, telling you who I really am, you will know that that is the Real Word you have been always longing to hear." 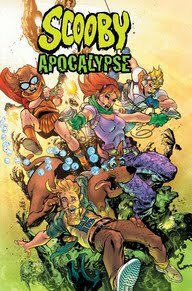 This morning I had a talk with my old buddy—and certified mad genius— Keith Giffen to discuss the current Scooby Apocalypse stories we’re collaborating on. 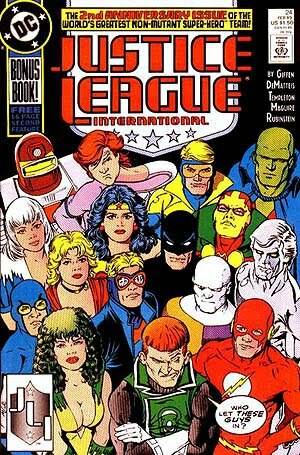 Back in the 80’s, when we worked on Justice League, Keith and I didn’t talk much at all: things were incredibly spontaneous. Keith would write the plot (well, actually, he drew it out, creating a little mini-comic) and I wouldn't see it till it arrived at my door. Then I'd sit down to dialogue and pretty much write the first thing that came into my head. Sometimes what I wrote hewed closely to Keith's story and sometimes I created entirely new plot lines and character relationships that had nothing to do with what Keith had done. 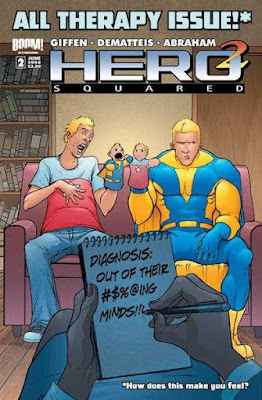 The real fun was watching Giffen take the twists and turns that I'd injected into the story and build on them in ways that always surprised me. Then he'd throw it all back in my face and I'd twist it again. It was an incredibly exhilarating way to work: no egos involved, we just kept trying to top each other. These days, we’re more likely to talk about a series, discussing the characters, the stories, where we want them to go—but, because our approach remains as anarchic as it was back in the JL days, our conversations don’t necessarily reflect what ends up on the page. Once Keith starts plotting, the final product might have nothing to do with what we've talked about. Once I start scripting, I'll go off and follow the muse wherever it leads me. I don't know if that kind of creative relationship would work for other people, but it certainly works for us, pushing us both to be better. It still amazes me that Keith and I have been working together this long—almost thirty years, on and off. Well, maybe it’s not so surprising: Despite the fact that Keith desperately wants people to think that he’s surly and cynical, Earth’s Biggest Malcontent, he’s actually an incredibly nice guy. As gifted, and generous, a collaborator as I’ve ever had. 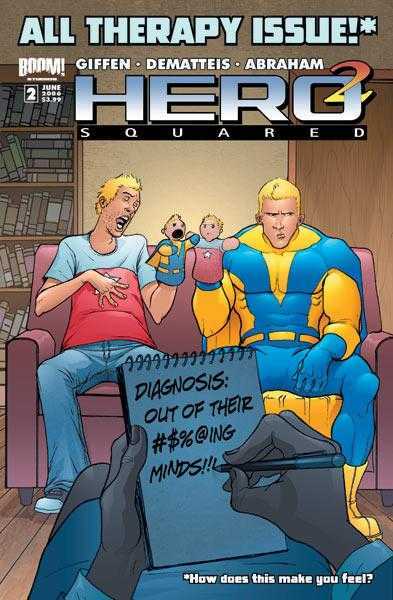 When people ask me what it’s like to work with Giffen, one story always comes to mind. I’ve told it before—apologies if you’ve heard it—but it really defines the man. It’s the late 80’s. We’re standing in the halls of DC Comics on a Friday afternoon. Keith is telling me his idea for a new story: the secret origin of one of our most ridiculous characters, the brain-dead Green Lantern named G’nort. Keith spends five or ten minutes spinning the entire tale, in detail. You can see he’s excited. He likes this wonderfully goofy story and he wants to do it—just the way he’s envisioned it. The problem is, I don’t like it. And I tell him that I don’t. Does Keith get angry? Does he tell me I’m a talentless jackass who has no right passing judgment on his incandescent genius? No. He just looks at me for a second, takes a breath, shrugs—and then launches into an entirely new origin of G’nort, which he’s creating on the spot. And it’s perfect. I can’t think of many people who could switch creative gears like that, but Keith has more raw creativity than just about anyone I’ve ever known: a tsunami of stories and characters and odd, brilliant notions. It’s been a joy working with Keith all these years. But don’t tell him I said so: it’ll wreck his self-image. 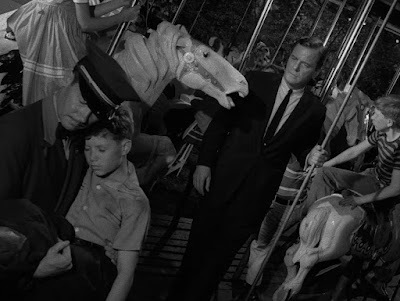 In honor of the annual Twilight Zone marathon on the SyFy Channel (which kicks off tonight at 11:30), I offer a list—first presented here back in 2011—of my ten favorite Zone episodes. By the time I was done, I’d included sixteen episodes, but let’s all pretend it’s a top ten list. It sounds better that way. “Time Enough At Last” which is first on the list, is probably my all-time favorite, perhaps because it’s the first one I remember seeing; but, really, the numbering doesn't matter: they all hold an equal place in my heart, continuing—even after all these years—to echo on in the deeps of my psyche and soul. Written by Rod Serling. As noted, the first episode I remember seeing—I think I was five or six—and one that’s never let me go. Burgess Meredith is brilliant as the bookish Henry Bemis: a man, abused by the world, who’s never happy unless he’s reading. The ending is the most tragic, and unfair, in all the Zone; but what touched me as a child, and still does to this day, is Bemis’s love of literature and the strange charms of being the only person left alone in the world. By becoming a professional writer—someone who spends a good part of his life alone with his own imagination—you could say I became a Henry Bemis myself. Written by Richard Matheson. Two classic episodes starring the incomparable William Shatner. In “Nightmare...”, Shatner gives a career-defining performance as a passenger fighting for both his life and his sanity on an airplane. It’s a tribute to Shatner, Matheson and director Richard Donner that the first time I ever got on a plane, the first thing I did was look out the window to check and see if there was anything...strange out there on the wing. In “Nick of Time,” Shatner is equally terrific in another Matheson story, this one delicately, and brilliantly, walking a fine line between the supernatural and the psychological. And who could forget that bobbing devil-head? Written by Rod Serling. 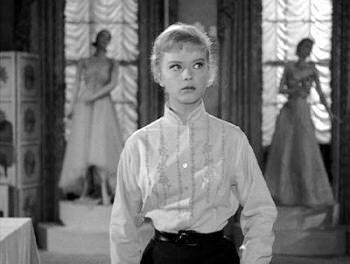 “Walking Distance” owes something to the work of Ray Bradbury—filled as it is with a longing for a simpler age of childhood innocence and merry-go-rounds—but the bittersweet soul of the story is pure Serling. Gig Young gives a heartfelt—and heartbreaking—performance as a desperate man seeking solace in his own fragile past. As perfect a TZ as was ever filmed, this is Serling at the very top of his game, using the show’s format to explore the human condition with a power and eloquence rarely seen on television, then or now. Written by Rod Serling. A companion piece to “Walking Distance,” this wonderful episode features James Daley—who went on to appear in one of my favorite Star Trek episodes, “Requiem for Methuselah”—giving a superb performance as a businessman longing for escape from the pressures of his life. He finds it in a place called Willoughby—which may very well be Heaven itself. Despite hints of misogyny—there are one too many harpy wives in Serling’s work—this is a deeply moving, and deeply magical story, that manages to transform tragic death into eternal triumph. Many a time I’ve been on an Amtrak train wondering if the conductor would shout out, “Willoughby! This stop is Willoughby!” If he did, would I get off? Would you? Written by Richard Matheson. Another Matheson gem, one of the very best of the Zones that question both personal identity and the nature of reality. Howard Duff is perfectly cast as a man trying desperately to escape an existence he believes is a lie and return to a life that everyone else claims is a madman’s delusion. The moment when Duff is sitting in his office at work and an offscreen voice yells, "Cut! "—revealing the world we've been watching to be a movie set—is one of the most thrilling and disturbing in the series. Written by Rod Serling. Another challenge to personal identity, perhaps to our humanity itself. “The After Hours” terrified and fascinated me as a kid. It also had me wondering, every time I passed a department store mannequin, if there was more to them, and to the universe, than met the eye. That, to me, was the greatest gift of The Twilight Zone: it exploded safe assumptions and challenged you to look, really look, and discover the miracles hidden just beneath the skin of the world. Written by Rod Serling. This pair of superb episodes, both inspired by Serling’s experiences fighting in the Pacific during World War II, always seemed of a piece to me. Both are resonant with sorrow, outrage and compassion—and could only have been created by a man who’d witnessed the horrors of war first hand. “Mercy’s” ability to shift perspective, to let us see war from the enemy’s POV, was a real eye opener to me as a kid. It broke apart the simplistic good guy/bad guy paradigm that mass media, and our political culture, had been feeding my young, impressionable mind and helped me to understand that all of us—so-called heroes and so-called villains alike—are united by our humanity. Written by Rod Serling. 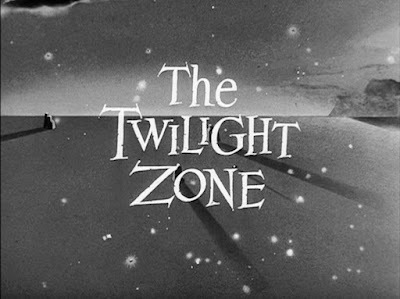 Only Twilight Zone could give you thirty minutes of Robert Cummings staggering around in the desert alone, speaking primarily through interior monologue, and make it a classic. Cummings, who learned his craft in movies but became a household name as the star of amiable, unchallenging sitcoms, proved that his dramatic chops were still intact with this wonderful portrayal of a man caught between past and future, guilt and madness. The sand in the shoe at the end was the icing on the cake. Written by Rod Serling. Okay, go to the mirror, pull down your bottom eyelids, push up your nose and scare the hell out of yourself the same way those doctors and nurses scared the hell of you the first time you saw this episode. A perfect mix of the aural and the visual, “The Eye of the Beholder” is skillfully directed by Douglas Heyes and beautifully acted by Maxine Stewart, who, hidden as she is beneath bandages, gives what is essentially the greatest radio performance in the history of television. 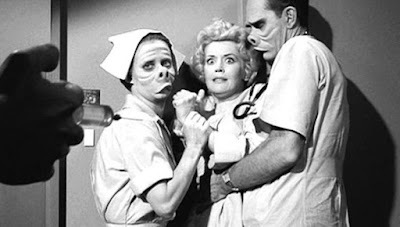 (When the bandages come off at the end, it’s a little disconcerting to find Elly May Clampett underneath.) Serling loved to rail against conformity and totalitarianism (among other things)—and sometimes the railing overwhelmed the writing. Here everything is in perfect balance. Yes, there’s a point to be made, but it’s the humanity of the story that stays with you. Written by Rod Serling. A simple, brilliant premise: a passenger jet lost in time. What’s amazing about the show is that—despite a few briefly-seen effects shots, some equally brief stock footage and a handful of passenger reactions—the bulk of the story takes place in the cockpit of the plane. It’s all talk. And yet Serling manages to make us believe that we’re trapped on that plane along with the crew and passengers, adrift in the timestream—and that we may never return. That’s called great writing, folks. Written by Rod Serling. The great Art Carney as a down-on-his-luck boozer who, on a snowy December night, finds himself transformed into Santa Claus. Be forewarned: this is no Tim Allen Disney comedy. It’s a genuinely moving tale of redemption: Serling at his sweetest, but not losing his edge, either. A show that demands re-watching every 25th of December. Written by Rod Serling. Billy Mumy wishing people into the cornfield. What more needs to be said? Just this: the moment when Mumy’s six year old terror Anthony Fremont turns Don Keefer’s character, Dan Hollis, into a human jack-in-the-box is one of the most chilling moments ever broadcast on television. And what makes it work is how little we actually see. Most of what we get is shadow and suggestion, letting our imaginations fill in the horrifying details. Written by Richard Matheson. The best of the hour long episodes, “Death Ship” is another Matheson gem that—as Marc Scott Zicree points out in his wonderful book, The Twilight Zone Companion (still the best TZ book out there, if you ask me)—skillfully straddles the line between science fiction and horror. The performances by Ross Martin, Fred Beir and Zone repeat offender Jack Klugman are uniformly excellent. This one sends a chill down your spine and pierces your heart at the same time: an uncommon feat. But, then, Matheson is an uncommon writer. There are so many other episodes I could write about—”A World of His Own, “ “Nothing in the Dark,” “The Midnight Sun, “ “The Trade Ins” and “Number Twelve Looks Just Like You” spring immediately to mind—but I’ve got to stop somewhere. 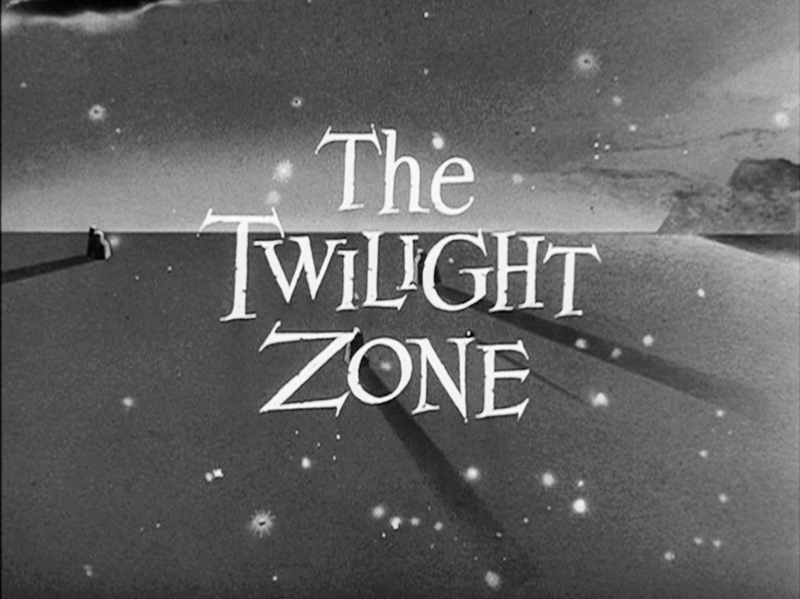 And, since the entire series is available on DVD, Blu-Ray and a number of streaming platforms, you should have no trouble tracking any of them down and losing yourself in the wonders and terrors of The Twilight Zone. All that said, I’m compelled to mention one more extraordinary episode that was part of the 1980’s reboot of the series. (I sold my first television script to the 80’s Zone and I really should blog about that memorable experience one of these days.) 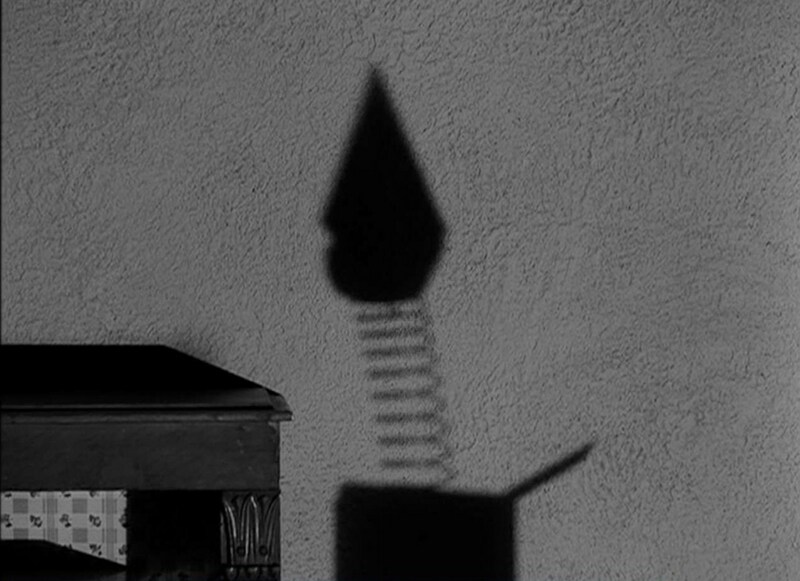 The episode, “Her Pilgrim Soul,” written by the brilliant Alan Brennert, isn’t just one of the finest episodes of any incarnation of the Zone—right up there with the best of Serling, Matheson and Charles Beaumont—it’s one of the finest pieces I’ve ever seen on television. In fact, it’s so good, you’ve got to click on this link and watch it right now.